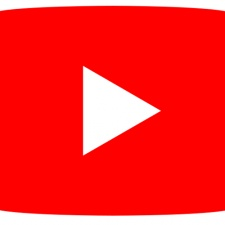 YouTube is doubling pre-roll ads at the start of videos in a bid to decrease interruption. The platform is looking to try ad pods - two adverts rolling one after another before a video begins. This way, viewers are less likely to be halted by jarring ads in the middle of the content. Viewers are less likely to abandon content if they hit an advert according to YouTube, and its also found that less interruption correlates with better user metrics. "Our recent user experience research suggests that in addition to factors such as the length of ads, viewers are quite sensitive to the frequency of ad breaks, especially during longer viewing sessions," Wrote YouTube product manager Khushbu Rathi in a blog post. "Through this research, we also learned that fewer interruptions is correlated with better user metrics, including less abandonment of content and higher rates of ad viewing." According to the platform, users will experience up to 40 per cent fewer interruptions while watching videos. Both ads will be skippable too. This new form of ad will start to roll out on desktop this year, followed by mobiles and then TV apps.